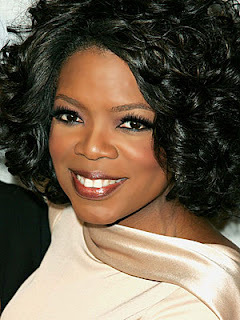 Today's New World Of Real Estate: Selling The Mansion #8: Was It Oprah? Selling The Mansion #8: Was It Oprah? In the early Fall of 2005 in our effort to sell Indiana's highest profile property, we had a group of people come down from Chicago under the banner of being representatives for a media entity. I've seen a limited number of Oprah episodes but the You Tube highlights where staff were sometimes on air had at least two people who looked remarkably like two in that group. Keep in mind this was in 2005 and Oprah was still on network television. On that crisp Fall day there were 9 people in total, seven women and two men and as culturally diverse as they get. We spent over 3 and a half hours that day and the questions virtually all revolved around a usage that would see A) frequent helicopter traffic: B) high security for guests and C) the technical condition of the home.